As territory that is located at the confluence of the Slavic, Turkic, Indo-Iranian, and Sino-Tibetan cultural spheres, Central Asia requires fluid and multifocal approaches for the study of its socio-anthropological, linguistic, literary, historical, and artistic specificities. Political paradigms are a vital tool for exploring a region that has experienced drastic sociocultural changes, especially after the dissolution of the Soviet Union. 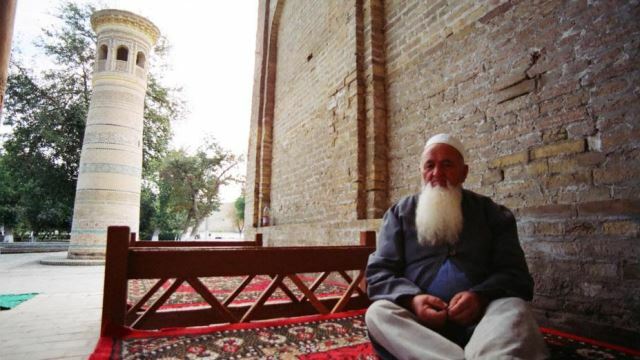 But a close reading of Central Asia’s literary and religious mindscapes can contribute to a more dynamic portrait of the diachronic cultural trends that have shaped its human landscape. This series of lectures will offer several approaches to overarching and interdisciplinary paradigms capable of shedding a new light on the transitional characteristics of this region of the world. Topics include religious policies of the Mongol Empire, local reverberations of the Persianate literary system in the formation of Pamiri identity, and the magnificent ascent of first Buddhist then Islamic Balkh and its artistic syncretism.